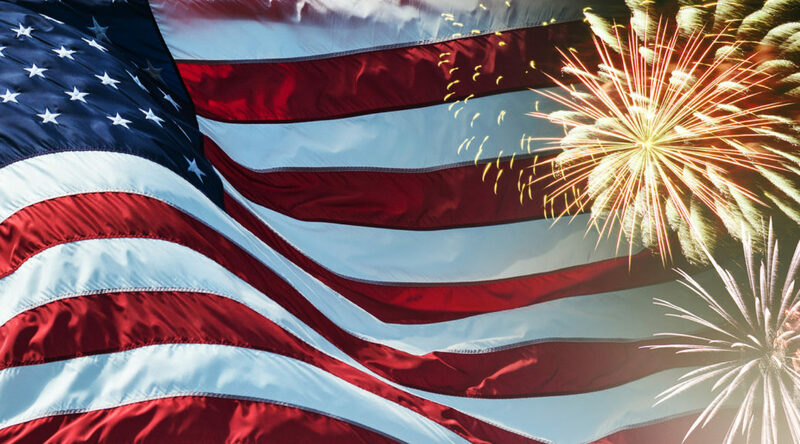 I hope everyone enjoyed a wonderful 4th of July celebrating America’s 241st Birthday. This is the time each year when I remind myself how fortunate I am to live in this great land. America is a remarkable country whose strength and resilience is found in the incredible diversity of its people. As I have said before, other than the Native Americans who preceded us, every other American came from a foreign land. It is this incredible diversity and variety of people, cultures, nationalities, religions and thought that creates the vibrant and strong fabric of our country. Nevertheless, many of us find ourselves a bit disillusioned with the recent direction of our country, but that should not diminish our gratitude for being citizens or our commitment to its future. America might not be perfect, but the more I travel (and I do love to travel), the more I realize how blessed I am to call America my home. Certainly, we are going through one of the more turbulent periods in our country’s history, but America’s Founding Fathers created a resilient form of government that will sustain us through these challenging times. As I often say, I try to avoid politics, since I really do not view America as a country of politics or politicians. Instead, I view it as a country conceived in liberty and intended to be of, by and for its People. That means it’s all about, and for, each and every one of us. I love history and if it has taught me anything, it has shown me that politics and politicians are temporary conditions and it is our Republic that must endure. History should remind us of the phrase, “this too shall pass.” In short, no matter which side of the aisle you find yourself, we should all have faith in our collective ability, as a democracy, to find a unified positive path to the future. That is what our Founding Fathers intended and would expect from us today. The 4th is a day that reminds me to do my best to not let them down. Happy Independence Day! Since it is July, it is not only our country’s birthday, but also HSN’s birthday month when we focus on Beauty and celebrate with a Today’s Special for our most popular product – Healthy Hair Skin and Nails. This year we have created a special formula that also includes Pomegranate and EGCG. Plus, we have also created a special Ultra-Economy 720 capsule supply that even at 2 capsules daily (or 1 capsule daily for 2 persons) will last until next year’s Today’s Special. Also, each bottle will come with a sampler of Green Tea whose protective benefits for the skin have long been recognized by the scientific community. As excited as I am about this year’s special formula, I am even more proud of its exceptional value, which costs far less per capsule today than when I first introduced this formula almost 20 years ago. Plus, today’s formula is far more comprehensive than ever before and also contains 8 times more of our unique Biotin than it did in 1998. That is no small accomplishment, since Biotin is among the most expensive ingredients in any of our formulas (costing more than $1,000 per kg) and today we have 8x more! It is rare that a product can improve so much and not go up dramatically in price from year to year, but almost unheard of that it can cost far less a couple of decades later. I can go on at length discussing the extensive benefits you can experience with this product and the extensive science supporting its use, but I believe the honest, unbiased reviews this product has received speak far more passionately and clearly than I ever could. It still amazes me that with all the thousands upon thousands of excellent products at HSN, Healthy Hair Skin and Nails remains the most frequently and positively reviewed product with more than 4,000 perfect 5-Star reviews out of just over 5,000 reviews. Although the science alone is convincing and compelling, there is nothing that can compare to the unbiased experiences of others. That is why I encourage everyone to take a few moments to skim through the reviews (and please take note that we do not remove any negative reviews). It just happens that >90% of the reviews are glowingly positive. I look forward to seeing you this weekend and sharing new information about our Healthy Hair Skin and Nails Today’s Special at midnight immediately following our Variety Hour at 11 PM Eastern Time on Saturday night. During that Variety Hour we will introduce our new Monthly Special – Phytoceramides. That name looks and sounds like a mouthful, but it is actually a very tiny capsule filled with a very simple, natural molecule that is the primary substance involved with our skin cells internally preserving their moisture and thus retaining smooth, soft, radiant skin on the outside with an increased resistance to wrinkling. I look forward to sharing more about this relatively new and infrequently seen product. Phytoceramides is the perfect Monthly Special to accompany our annual Healthy Hair Skin and Nails Today’s Special, as well as Marine Collagen Peptides with MSM Today’s Special that returns in just over a week. Speaking of Marine Collagen Peptides with MSM, I have some exciting new research to discuss regarding more than just promoting healthy smooth skin and healthy resilient joints. Next weekend, I will be discussing of all things…cellulite. That might seem to be an unusual subject given all of the myriad of external treatments for cellulite, but it should actually come as no surprise that a collagen supplement can have an impact if you consider the anatomical features that contribute to the appearance of cellulite. Specifically, it has been shown that disruptions and distortions in the organization of the collagen fiber beneath our skin and above our body fat aggravate and worsen that “orange peel” appearance of dimpled skin or mottling generally referred to as cellulite. In other words, to the extent we can improve the health and organization of the collagen layer beneath our skin, we can then better cover the irregularity of the fat underneath and thereby reduce the appearance of cellulite. It is a fascinating discussion and no more surprising than the already established benefits of these remarkable peptide molecules for our skin or for our joints. I swear by this product when it comes to my joints and my frequent exercise. Whether we are talking about the appearance of our skin and cellulite or the health of our joints or blood vessels, there is abundant new science and a wide variety of quotes from several studies that I will be sharing. Also, last year we improved this formula by essentially making it taste-neutral and completely odor-free. This year we have made another great improvement by dramatically improving its solubility and ease of mixing. Marine Collagen Peptides with MSM is a relatively new product and not as many folks have heard about it or had a chance to experience it, so I hope you have an opportunity to tune-in and learn more this weekend. I will also share why not all collagen is created equal and why we go all the way to Japan to get our unique material directly from the folks with the greatest scientific experience in researching and developing the original collagen peptides. I hope you tune-in next week to learn more about these remarkable, yet overlooked natural molecules. Lastly (and I promise this is the last thing J), as you have requested, I will post a brief blog regarding some of the research I have recently discussed on-air about how to work with your doctor to more effectively use Cholesterol Lowering Drugs to achieve the same results by consuming far less medicine while also saving money and dramatically reducing the risk of side effects. We will attach the medical studies and/or their abstracts, so you can share this with your physicians. 73 thoughts on “Happy Independence Day! Thanks Andrew your products are the best and we love them. Please help parents with the daily battle of schools wanting children on the drugs that turn children into zombies and hurt them for life. Do you have any thing for teens to take . I have my teens taking his essential one and others. How old are they? My 17 year old takes essential one ,omega 3, sometimes green foods and friendly flora. My 12 year old just started taking the essential one,omega 3 and friendly flora. They do just fine. Our 7 year old daughter also takes a few of his supplements!! She has to be on a steroid and a bone marrow stimulant ( which can take a toll on her little body) so we have her on Essential 1 with 2000 IU of Vitamin D, Ultimate Friendly Flora, CoEnzyme Q-10, Vitamin C and NAC- 500 and Liver Anti- Oxidents! She too does great with them!! I am one of your customers that found you first on QVC and then found you again on HSN. I am so loyal to your knowledge and products that I purchased from you directly when you left QVC abruptly. It’s been good ageing along with you. We too found Andrew on QVC and have been with him ever since. Yes, I too started out on QVC and followed you to HSN. I will not take anthing else but your products because I believe in the quality. Thank you for your positive comments on our great country. You beautifully expressed my own thoughts. I hope people will be touched by your words and encouraged. All along I have purchased some items from QVC and some from HSN depending on the individual products being featured that fit my needs. I purchase a very disproportionate of Andrew Lessman products based on my income and will continue to do that wherever they were available as I trust the products. I would be happy to get past all the promotional periods and be able to consistently get what I needed as needed. But I know that is not likely to change. I have a large supply of Hair, Skin and Nails on hand, and now I see it will have improvements. I am happy for continued improvements and appreciate that, but the current marketing plans of purchasing large sizes to get best savings can have a downside when products change. Please always stay true to the principles you have expressed. I purchase his products from Procapslabs.com as well as HSN. When I want to look for something for a condition or do a re-order, I do it at Procaps. That way I can see what is on my autoship order and change the dates as needed. The price is the same as HSN so I don’t have to worry about not getting the specials. I agree with you that I buy the large size and then products change. That is frustrating to me as well. Sometimes it is just better to buy the smaller size. Diana, what you mean the product changed when you buy large size? I do bought the large Collagen powder. Is it more better the smaller??? As long as your products are available, I’m not concerned with the venue used to distribute them. I have complete confidence in you and the quality of your products; I’m not going anywhere. Do you need to stop taking your vitamins before you have surgery? Nikki – talk to your doctor and pharmacist as some supplements may thin the blood or raise blood pressure. They will tell you how long you need to stop them before the surgery. Ms. Nikki – talk with your doctor. When I had my wisdom teeth out my doctor told me I had to stop taking my OMEGA-3 a month prior … I think. It’s been so long ago now. Check with your doctor. Good luck. I was told to stop All vitamins 10 days before my back fusions! I am looking forward to seeing you on HSN this weekend and plan to buy both the HSHN and MCP with MSM. I’ve been with you for years and will stay with you because ProCaps Lab, and the trailblazing founder, is what is essential. I am unable to take biotin due to migraines. I loved the Hair Skin & Nails but had to discontinue. Is there any thing else I could take of yours that would help in the same way, even if it isn’t as potent? I currently take Essential One and Calcium Magnesium. Love your products and consume a lot of them. I only hope the prices won’t increase since QVC tends to be pricey. I too have been with you since QVC. I have an amazing story I will be sharing in a couple of months regarding the Marine Collagen. I am told to drink only herbal teas. I do have what you have — particularly love the little bag that the tea is in — no cardboard, no staples, etc. Do you have any plans to make other herbal teas…please…. ! Looking foward to your special formula for Healthy Hair Skin and Nails! I have been waiting for it. Thank you Andrew for the beautiful article on the history of our great country, I agree with you with all my heart. Also, I’ve been a loyal customer since QVC, your supplements are the best. I have learned so much from you. I am 59 and currently on no meds, I believe that your supplements have helped me in so many ways. Thank you so much and continue to do the great work you do in your research. Am I understanding correctly; QVC taking over the operations of HSN? I have been a 20 year customer on HSN and QVC but I do major shopping on HSN because of the prompt service when I purchase as well as when I have to return an item. I am not pleased that HSN will probably change and take on QVC policy of operations. I suppose I may as well buy my Lessman and Hidi Daus products directly from their internet sites because QVC customer service and site is too difficult to maneuver. I prefer HSN over qvc any day, member HSN was the first and oldest home shopping network, qvc copied you. Qvc is to bold and overconfident about themselves. But I am sure you HSN did what was best for your employees and customers. I know you are not a sellout. Remember, your company was the first of its kind , a real trailblazer. I hope you offer that formula again when it is on special. I was not able to take advantage of it this time because I still have almost a full jar that I purchased at the last special! I think it was a monthly special. Andrew, you are a true Patriot! Well said! I love America too, & after visiting overseas, I love Am. even more! We are so blessed ! I take 15 of your products & have bought them from QVC, HSN, & Pro Caps! Thank you! Andrew…another thoughtful blog…thank you for your patriotism! What seems to go right over so many heads is – no matter which side of the aisle (I stand in the middle) – it is important to have access to the purest, least contaminated raw materials for supplements. In today’s environment this has to be difficult. Anyone buying groceries knows how our choices have changed, and it is more expensive to avoid chemical contaminents – which isn’t easy. The more we veer from the Creator’s way, the worse it becomes. The chemical companies are destroying our planet and its people. The human body was not designed to process these foreign invaders, so the toxic residues store in our tissues. This is a simplified description of what is happening, but gives a glimpse at why we have a proliferation of illness and new diseases. For all of America’s wealth, we should be one of the healthiest countries, unfortunately, we are NOT. Of all industrialized countries, we have the most expensive and least effective health care system in the world. In the U.S., if the money spent on health care and health insurance were spent consuming ProCaps’ supplements and eating Clean Foods, it would reverse our world health rankings. But then…where would Andrew find all the uncontaminated raw materials to provide the supplements, and where would we find all of the Clean Food to eat? Those who have taken issue with some of Andrew’s comments need to realize they stem from deeper issues. He wants to produce quality supplements, and some political actions make this increasingly more difficult. There is a bigger picture than many want to understand and see. Thanks Andrew for doing the best you can under less than ideal circumstances, I think I grasp at least part of the bigger picture. Politicians did not cause our problems and they cannot solve them, we have had both parties in power for many years with not much of a change, instead of blaming a political party we need to look at the bad decisions we make in life and start making good decisions, we all want health and wealth and thats up to us, so lets take Andrews products for health and work diligently for wealth and stop making politicians the main focus in life. I truly rely on your supplements for wellness. Will you have a tumeric supplement? I trust your ingredients to always be the best quality. I take it everyday and will happily purchase yours if you have it. Andrew has a Turmeric 400 Curcumin product I have been taking and it awesome! Our 7 year old daughter takes a few of his supplements!! She has to be on a steroid and a bone marrow stimulant ( which can take a toll on her little body) so we have her on Essential 1 with 2000 IU of Vitamin D, Ultimate Friendly Flora, CoEnzyme Q-10, Vitamin C and NAC- 500 and Liver Anti- Oxidents! She does great with them!! My husband and I also only take his supplements!! All I have to say about Hsn selling out to Qvc is l will not be shopping on there sites any longer. Will just go directly to procaps website Andrew Lessman. Hi Andrew. I also take a lot of your vitamins and will continue. I trust your quality and love that your vitamins are in capsule form. I enjoy your shows because they are full of knowledge. Andrew love your blog. I have been taking you photocerimides for close to a year now and my skin looks better than in my 20’s. I’m turning 55 this year and a cancer survivor coming up on 2 years this October. Thank you for all your wonderful pure formulation of products. My family has seen the results and I now have the whole family on your products including my daughter in laws parents. I take the photcerimides with the healthy hair skin & nails and the collagen peptides. Your formulas are my chemo in a bottle. Thank you for the helpful gentle products that I can take each day. Whether you are HSN-QVC or just ProCaps I will continue to purchase you supplements. Wishing you all the best. My wife and I have been taking many of your supplements for 25 years. We are in our mid-60’s and are not having to take any prescription medication. We do believe there are 3 major factors for this: 1.) Proper nutrition, which includes eating right, taking your supplements, drinking proper amounts of water, (r.o. system a must) drinking green tea daily, limit alcohol and stay away from sugar. 2.) Excercising most days of the week…90% of our program is cardio training. 3.) Proper sleep 8-9 hours each night. Proper amounts of sleep are so important and unfortunately not reported on near enough. Recently read an article reporting that poor sleeping habits are as dangerous to ones health as smoking a pack of cigarettes a day. We love your products and watching you on HSN to get the great information you provide on your products and health care. I love that y’all shared this! Congratulations, keep up the good work!! Please resist any political talk (safer and more professional that way) I’ve lost all respect lately for many musicians, comedians etc for stepping way over the line….”all accepting and loving” hypocrites at their worst!!! Still feeling the pain of Sayyid leaving procaps!! Well said TD. I am so sad to see Andrew turn Hollywood. I too am tired of my favorite actors, comedians, and musicians political views. I enjoyed them as entertainers, but no longer. I’ve always enjoyed listening to Andrew educate us on supplements, and have spent thousands on them. But, will no longer purchase his products. Actually, I don’t plan on making any more HSN purchases. If I want political comments, I can turn on one of the one-sided mainstream, so-called news networks for that. Don’t need HSN blog for that. Like Andrew, I too love this country and am grateful I still have the freedom to vote. Do we disown our family and stop supporting them just because of a difference in political views? I sure don’t! If someone has a good product they are entitled to their views whether they are the same as mine or not. Charlotte Smith, Well I have to agree with you, I find it disconcerting reading this blog, how Andrew simply could not refrain from making this comment: “Nevertheless, many of us find ourselves a bit disillusioned with the recent direction of our country”. Or the statement “History should remind us of the phrase, “this too shall pass.” ” What? Doesn’t Andrew realize the majority of the country is very pleased with our new direction and the man leading this country? Andrew could not refrain from making political comments which is disheartening, just like Hollywood. How can Andrew say he is not political and make the above statements? Many of us are not disillusioned Andrew, more than many of us. It is a real surprise he felt the need to make these comments, we have spent thousands buying his products over the years. Now we will simply stop buying. We are not disillusioned with the direction of our country, we are disillusioned with you Andrew. Just like Hollywood, we are changing the channel. Big disappointment. Oh, please. How can you be upset with Andrew for what he said. In fact, when I read about all the hate mail he has received in the past for his positive statements and his desire that the less fortunate be helped; I realize that those kind of people would take umbrage at anything that doesn’t agree with their extremely narrow views. You are one of those closed-minded individuals. To Andrew, I say “good riddance”; he can do quite well without all you hateful people buying his product. (… “one of the one-sided mainstream, so-called news networks” you should be talking about is FOX; but no, that is your favorite for “fair and balanced” news; I’m sure you believe the other networks broadcast “fake news”. You are right about your comment many of us being disillusioned with the direction our country is going. However, I don’t agree that this started recently. I believe it started the within the previous eight years. You say you don’t consider yourself political, but clearly you are, and you have this forum to express that. Charlotte, I got that exact strong impression. This direction and controlling agenda and those pushing it like it’s the best thing is truly frightening. Thanks, Andrew for all your words of wisdom. And, also for commenting on the QVC acquisition. Yes, I am one of your customers that found your products when you were first on QVC and appreciate all you offer. I love your blogs, thank you for taking the time to write to us. I don’t respond to all of them, but I do read them. I quickly want to say, I’m an “older” happy AND healthy female because of you. I’ve taken your products since 1995. They are helping me age gracefully and remain full of life! If you could see my countertop … it’s FULL of your products, ha! 🙂 You’ve ALWAYS told us that if you give your body what it needs, it’ll take care of itself (something like that). Well, I’m living proof. Thank you for what you do and GOD BLESS you Andrew! As one that is not disillusioned with the direction our country. I had a lot to celebrate this July 4, 2017. I am proud that America is following our Founding Father’s and the Constitution that they wrote. If you could view from on high you would see a recognizable image. That is AMERICA. As you come through our designated entries, I say welcome to America. This is the greatest country in the world! Come on in, you are going to love being a ‘AMERICAN”. Love your products Andrew! It doesn’t matter to me what you say political, as long as you keep making great supplements! To many folks get up in arm’s about nothing. I’ve taken your supplements for 6 yrs. Now and believe in you very solidly. Keep up the great work, I’m behind you 100 percent. If people stop taking your products because of something you said that’s their loss. I dare them to find a better product than pro caps puts out!!!!! Amen Ms. Gloria! I agree with you 100%!! Amen and Ditto !!!! I’ve been a pro caps customer since qvc also, but immediately started ordering from the website. Love the Blogs ! I agree with you Gloria. Andrew was not making this a political blog. If anyone on this blog has any comments to make politically, they should make them on Facebook, Twitter, etc. Also, those who say they will no longer purchase his supplements because of it will miss out on the best supplements for health. Andrew, Please include the regular Collagen in the TSV. I love it and wrote an awesome HSN review on it. I can’t take the MSM and have been looking forward to this TSV since it was mentioned months ago. If there is ANY way you could give us the option that would be wonderful. I to am a long time user of your products, simply said, they are the best you can get. I am not happy about qvc, hsn is far superior! I hope qvc offers flex pay, it helps those of us on a fixed budget to take advantage of your specials. Andrew was just expressing his love for this great country of ours. The history tidbit was wonderful and hopefully it will open up the eyes of those who are so negative. Agreed. He should simply state he loves America and proceed with his supplement info. We do not want to hear your political views. I take 20 different supplements of yours and have for decades. I recently, January 2017, started taking your Cholestracare. I religiously took 6 capsules a day. I didn’t change my eating habits or start exercise which I know I need to do. Three months later I got my blood work done. My cholesterol dropped by 18%. I’ve always believed in your products Andrew but this validated why I support you and your products. I particularly appreciate the effort you put into educating the public. Bye bye HSN as I will have to stop shopping there. QVC isn’t my go to. I will miss the “old” HSN way of pricing, flex pays, product line, returns, shipping/handling. Wow! But I will continue to buy Andrews supplements,etc from Procaps Lab. His staff are magnificent and follow footsteps of Andrew in hi quality customer care. Muriel’s cookbooks are so well put together and delicious. Thank you so much Andrew for education and excellent products. Hi Andrew, looking forward to seeing you this weekend. Hair , Skin & Nails was the first one of your products I tried. It is still one of the MANY I use daily. Been with you since QVC, and shop the Pro Labs too. To Me it is just important for you to keep your promise to produce the Best for all of us, and since you developed these for yourself, I don’t think you would reduce the Quality. Wishing you, Muriel and Lincoln Gods blessings. Andrew, your products are wonderful. At my last checkup my cholesterol was normal…what a relief. Now I need to focus on the weight. I use your Oatmeal, and Oat Bran for breakfast and two or three pieces of choconuvo throughout the day. Thank you so much for your integrity in producing the finest vitamins and supplements. I have preordered the upcoming Marine Collagen Peptides with MSM Today’s Special. While at the site, I noticed a negative comment in the “reviews” section. It was a complaint about the use of Tilapia as the main source ingredient. The reviewer sounded as though he had not bought the product because of negative news he had heard about Tilapia. Perhaps you should talk about this when you are presenting the MCP product. I know you are careful about how you source your ingredients and have been using the MCP myself for a couple of years. But obviously, not everyone knows about your diligence in formulating your supplements. HSN or QVC, does not matter, we are getting your products regardless. I was not a vitamin taker because I used to get them from discount stores, and non of them really work, and plus most of them have additives and binders. On one evening in 2003, I started to watch HSN and see Andrew, but didn’t buy any product, because I was skeptical at first. So I finally made up my mind and tried the coq10 on today’s special. After about 1.5 weeks of using it every single days, I started to feel much better. And now I am using your Omega 3, HHSN, Essential 1, resveratrol. I like them all. I don’t have much money, I do what I can to get your products, especially the Today’s Special products. Thanks Andrew for all those great vitamin supplements. Andrew. I have used your products from when you were on QVC..and on HSN..since you have been there.I CANNOT THANK YOU ENOUGH for all of your wonderful products and INFORMATION that you share. (My gastroenterologist.is now well schooled on your products..)..I was very ill. last year and my body was beaten down.Now that I am 95% better..I am so much better due to your products. .I just recently started a daily workout regimen and healthy eating.YOUR PRODUCTS really help.Thank You from Naperville Illinois. .
Love your products… but I am grateful and hopeful for the direction of the United States now. Please stay on your vitamin and health topics. I don’t want to hear your subtle slams against those who want a different direction. You gained tremendously from this wonderful country. As people above have mentioned, you HAVE gone Hollywood. Thank you for telling us that QVC will not cost me my vitamins. If they do not approve of you, just send an email and we will in mast shop elsewhere. I do have accounts at both networks but only because I had to learn to shop on line in order to order your vitamins( 2003) Now I can and will order direct if need be, but don’t worry, you are too important to viewers for anyone to want to have you leave. Called ProCaps Labs yesterday to order. Spoke with a young lady who took my name and number for them to call me back. Still have not received a call back. Called twice today and left call back information on the automated instructions. STILL no call back. The daily special is now over with and really really wanted to get the order in and charged to tgst credit card charging cycle. Very disappointed. As I have limited resources and could handle it on the credit card billing cycle. Will continue to purchase your products wherever you are. You are the only reason I tune into HSN. Your wealth of knowledge and passion are truly inspiring. Have to admit that I did stop taking your products for a while. No reason, just stopped. Big mistake…noticed the difference. Am getting back into the routine.